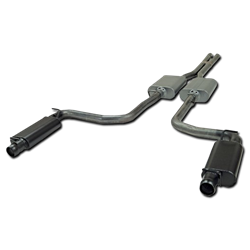 Modifying your exhaust system provides improved exhaust flow and performance in addition to enhancing the HEMI engine's unique classic muscle car sound. Improve sound and add horsepower by bolting on a catback exhaust. 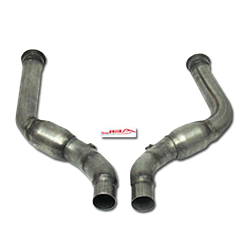 These systems replace your factory exhaust from the catalytic converter to the exhaust tips and many are 50 state street legal. 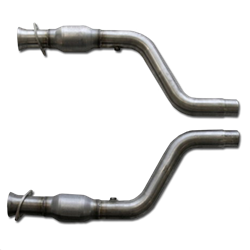 Replace your Catalytic converters with higher flowing versions or upgrade your midpipes or crossovers to improve exhaust flow. 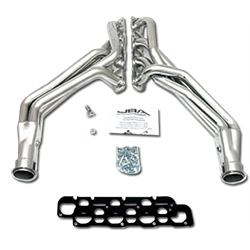 Replace your exhaust manifolds with shorty headers or longtube headers to complete your exhaust system for the most performance with the least restrictions. Replace your worn out cats or add high flow catalytic converters to your exhaust system. Many options are 50 state legal and improve performance. A worn out muffler robs you of horsepower. 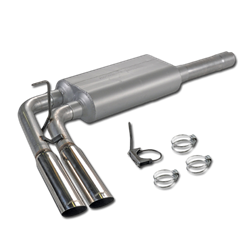 Replace your muffler to bring your HEMI back to life or to improve your sound. 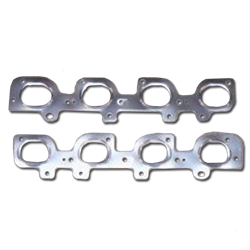 Complete your exhaust system install with the parts and pieces you need and keep from leaking exhaust gas with a new set of gaskets.